The milk-tea craze is as crazy as ever and if you're getting overwhelmed by all the choices. And here's another good news for you because I was able to get a chance to experience and catch a new player in this market and expanding at least 10 branches this year all over Metro Manila. 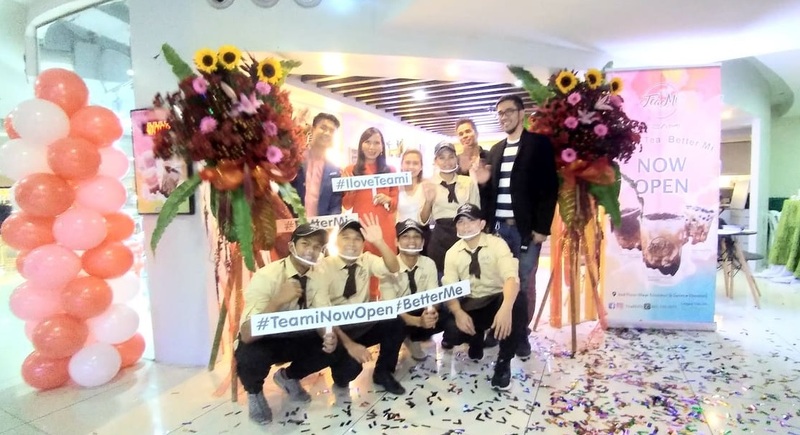 I had a great time during the opening of TeaMi milk tea house. I was able to drink Blueberry Dirtea and the Matcha Milktea. I had a challenge to look for it the first time but will it will be impossible for you not to notice it within the building because if you will be on your way to the escalator going down or up from or to the 2nd floor of this building, you'll be able to see this classy cozy place. 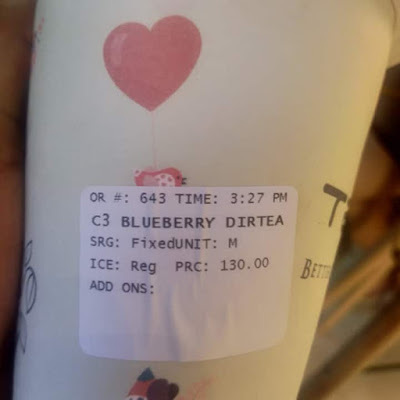 I particularly like the Dirtea variants, probably because it fits my personality wherein the milk tea may look messy but really is very tasty and you can taste the flavor of what you've ordered. With all the milk tea stores spouting left and right, let me recommend one that you can check out and hopefully enjoy as much as I did when I went there. Let me share my short clips I video recorded for your reference. You can choose other variants of Milk Tea and even fruit tea's for your refreshment enjoyment especially this very hot summer season. TeaMi will be opening 7 branches more soon in BGC, Megamall, Robinsons Galleria, Ortigas, Makati and Manila. 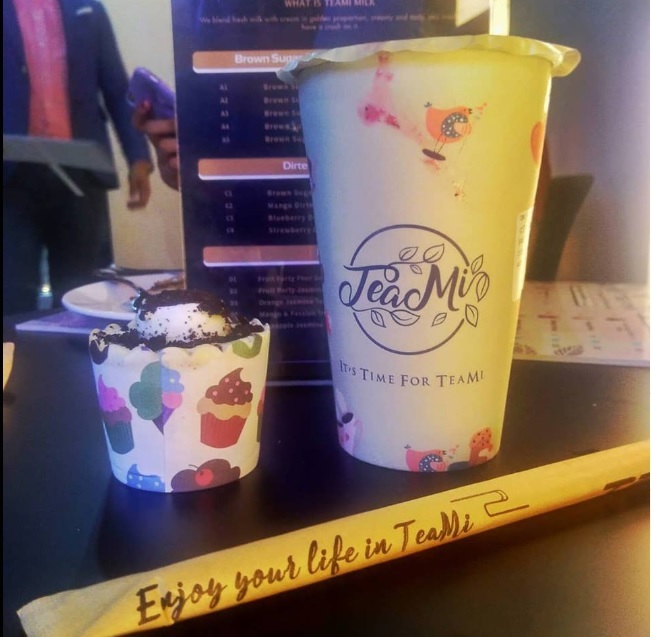 Let's all enjoy our like in TeaMi with their Milk Tea! 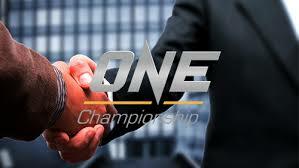 16 April 2019 – Singapore: The largest global sports media property in Asian history, ONE Championship™ (ONE), has just announced a multi-year seven-figure partnership with Global Association of Mixed Martial Arts (GAMMA), the independent governing body for the sport of mixed martial arts worldwide. Based in Amsterdam, GAMMA is a non-profit organization founded in 2018 made up of thought leaders and pioneers in mixed martial arts across five continents with decades of experience in the sport. GAMMA is headed by its President, Alexander Engelhardt, and its members are made up of national federations across over 60 countries. GAMMA’s objective is to obtain international recognition for mixed martial arts as an Olympic sport, in order to give all amateur mixed martial artists the platform and opportunity to fulfill their dream of competing on the Olympic stage. As part of this partnership, ONE Championship will support GAMMA’s efforts to obtain Olympic recognition for mixed martial arts. In addition, ONE will also work with GAMMA to develop and promote best practices in health and safety standards, anti-doping regulations, and competition rules for the daily safe practice of competitive mixed martial arts at the amateur level. With support from ONE Championship, GAMMA is set to hold its Amateur MMA World Championships in Singapore this November, showcasing the world’s biggest and brightest young martial arts talents on the most prestigious global amateur mixed martial arts platform. 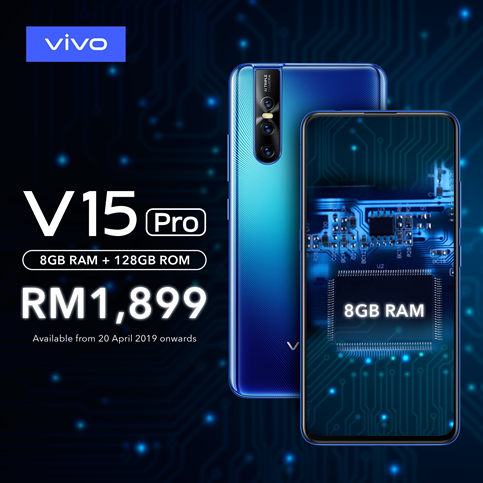 Kuala Lumpur, 16 April 2019 – Vivo’s eagerly anticipated upgrade to the Vivo V15 Pro has now finally been unveiled with the 8GB RAM and 128 GB ROM at a price of RM1,899. Just like its 6GB compatriot, the 8GB variant has the Ultra FullViewTM Display which makes a bigger impact all round, with a 90.95% screen-to-body ratio, 6.53-inch display, 1080×2340 resolution and fifth-generation Corning Gorilla Glass creating a vivid and life-like viewing experience that makes gaming and videos more immersive and exciting. The unit has, what is now a standard bearer of the V15 series, the world’s first 32 megapixel Front Elevating Camera to capture the user’s face in the most beautiful and clear manner. Powerful, easy to use features such as AI Face Beauty helps slim the users face and smoothen their skin, while a range of portrait lighting effects adds an alluringly artistic touch, doing away the need for post-editing. The V15Pro 8GB was launched last week in Malaysia in conjunction with its official partnership with Player Unknown’s Battlegrounds (PUBG) Mobile National Championships (PMNC) 2019. Jr. NBA Philippines presented by Alaska returned for the second consecutive year to Fr. 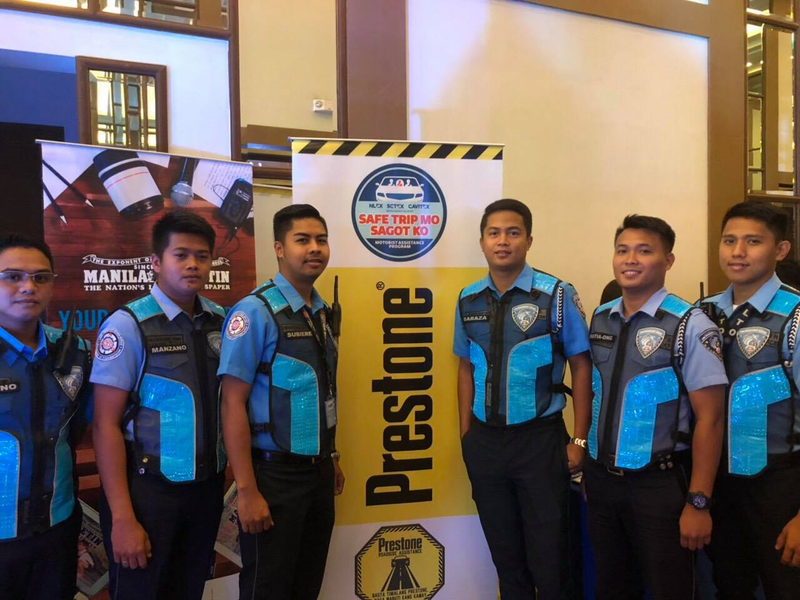 Saturnino Urios University in Butuan City on April 13-14 and identified six boys and three girls to represent Mindanao at the National Training Camp in Metro Manila. The Jr. NBA Philippines Regional Selection Camp, led by Coach Carlos Barroca of the NBA and former PBA players Tony dela Cruz and Willie Miller, hosted more than 500 campers, with the selected athletes excelling in a series of basketball activities and competition and exemplifying the core S.T.A.R. values of the game throughout the camp. 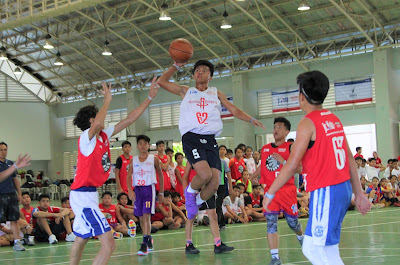 They will advance to the National Training Camp on May 17-19 and join the best young athletes from the Regional Selection Camps and a select Alaska Power Camp group to vie to be named part of the 2019 Jr. NBA Philippines All-Star team. The Jr. NBA Philippines All-Stars—comprised of as many as five boys and five girls—will join the first Jr. NBA Global Championship Asia Pacific Selection Camp, a week-long camp in June that includes top youth players from the Asia-Pacific region excluding China. 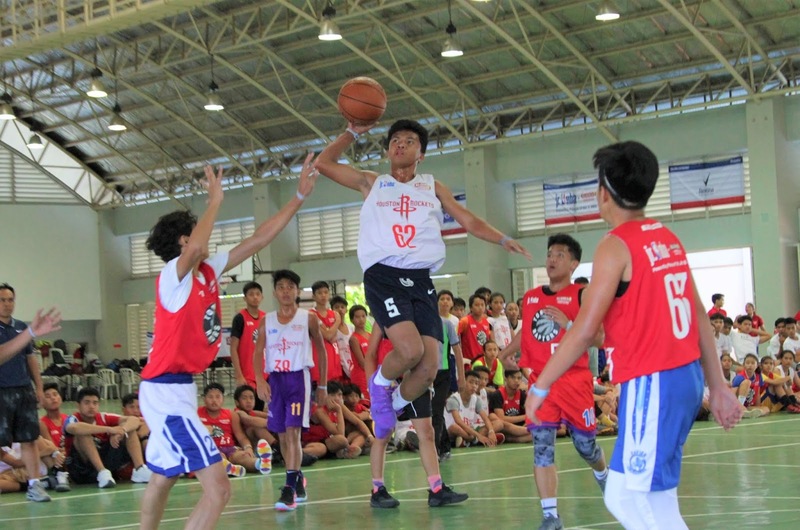 In addition, the Asia-Pacific regional competition will form a team of 10 boys and 10 girls that will represent the region at the Jr. NBA Global Championship on Aug. 6-11 at ESPN Wide World of Sports Complex at Walt Disney World near Orlando, Florida. The international event will showcase talented youth from the United States, Canada, Latin America, Europe, the Middle East, China, Mexico, Africa, India and the Asia-Pacific. Boys and girls aged 10-14 years old can still join the last Jr. NBA Philippines Regional Selection Camp this year in Metro Manila on April 27-28 by registering at www.jrnba.asia/philippines. Jr. NBA Philippines 2019 is presented by Alaska, with AXA, Gatorade, Globe, Panasonic, Rexona and Vivo as official partners. ABS-CBN S+A, Basketball TV and NBA Premium TV are the official broadcasters of Jr. NBA Philippines. For all things NBA, fans can follow Jr. NBA on Facebook and the NBA at www.nba.com and onFacebook and Twitter. Fans can visit www.alaskamilk.com to learn more about the Alaska Milk Corporation, and follow Alaska Milk on Facebook for more information about Alaska Sports. Given the growing issues on health as well as the fast-changing technological environment, which leads to the change in children’s interests and behavior or sedentary lifestyle, Alaska believes that there is a need to reinforce its thrust in leading a healthy lifestyle not just by drinking milk but also by leading an active lifestyle. Alaska seeks to engage the youth, especially younger kids, in sports. Alaska Milk looks beyond selling milk – it sells nutrition and by doing so, the Company and brand Alaska is doing its part in nation-building. Through youth sports development programs, Alaska is able to help nourish children for them to develop into champions in the field of interest and, in general, in life. The overall objective of the Alaska Sports is to strengthen the brand’s equity in nutrition through sports. To portray Alaska Fortified as a brand that helps instill the values of determination, discipline, teamwork, and hard work among the youth through sports. Barley grass has long been considered an important ‘functional food’ that promotes health and supports disease prevention. For many years it has been a foundation part of the health and wellness industry and is widely used by health-conscious consumers around the world. This ‘superfood’ contains high levels of chlorophyll and is rich in vitamins, minerals, and enzymes. It is a powerhouse of nutrients. The popularity of barley grass continues to grow as more and more consumers, worldwide, discover its benefits. At Santé New Zealand Limited, we recognize the powerful properties of barley grass and, its health benefits. This has led us to develop a comprehensive selection of everyday barley-based products. Our barley grass is grown in the Canterbury region of New Zealand. Canterbury lies in the central-eastern region of the country’s South Island. This is an area of 44,508 square kms and is one of the most important agricultural and horticultural areas in the country. The soils of the Canterbury Plains are formed on an alluvial plain and are particularly well suited to growing cereal crops such as wheat, oats and barley. Our region has a long history of growing barley, but this has been mainly for its grain. The barley grain is used in the brewing industry and in baked products. 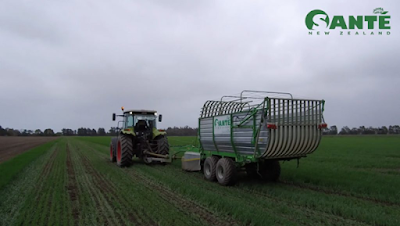 Given the local expertise in growing these barley grain crops it has been an exciting innovation to partner with expert farmers to grow ‘barley grass’. This is the same barley plant, but it is grown, harvested and dried at the green leaf stage, well before the plant matures and develops the grain. Over time, we have developed optimal growing techniques and harvest to suit growing the barley plant for its leaf rather than for its grain. The local Canterbury climate with its cool winters and warm summers, along with the free draining soils are very well suited to growing superior barley grass crops. We consider the crops of barley grass we grow to be truly outstanding in when it comes to chlorophyll and nutrient levels. Our barley grass crops are world class. We grow our crops in a method called ‘broadacre’. This means the crops are grown in large paddocks (i.e. fields) often 10ha or more. In this method the barley grass receives natural sunlight, airflow and rain as the main water source. The soils these certified organic barley grass crops grow in are in a ‘rotation’ of animal grazing and cropping. This naturally balances inputs of nutrients (i.e. from the grazing animal’s manure and from legume plants) with the extraction of nutrients from cropping. Typically, the farm rotation may involve 3 years of animal grazing (sheep or cattle) and 3 years of growing a variety of crops including barley grass. The production of premium barley grass requires that the plant receives enough water (either via rainfall or irrigation), sufficient macro-nutrients along with enough magnesium, Sulphur and calcium from the soil. The macro-nutrients are nitrogen (N), phosphorus (P) and potassium (K) or NPK for short. Often the availability of the macro-nutrients to the barley plant is governed by the soil pH level, presence of micro-nutrients and the levels of organic matter in the soil. Farming under organic principles is demanding as there are a limited number of ways the organic farmer can influence the availability of nutrients. This requires careful planning and great attention to the soil’s fertility and structure. Our farmers spend a great deal of time considering all aspects of what it takes it make a healthy soil including the soil microbiology and the presence of enough earthworms and other beneficial soil dwelling creatures. Application of certified organic compost and other approved fertilizers is a key part of maintaining fertility in the cropping phase. An important part of the crop husbandry is to prepare a fine seedbed when the barley seeds are sown. Generally, barley grows to about 30 cm high before it is harvested with and specially designed harvester. Time to harvest depends on the time of year – it takes longer in the colder autumn months of the year. It is important that, at harvest, the leaf is cut and delivered to the dryer as quickly as possible since it can’t be kept in a heap too long. The drying process is designed to reduce the moisture content and stabilize the barley leaf as a safe and nutritious food product. Milling the barley leaf is an art and a science. Well-milled barley leaf can be easily absorbed by the body and is a perfect ingredient for drinks and smoothies. Santé New Zealand Limited knows that the way we produce our crops impacts the health and purity of the environment. We are extremely mindful to grow according to organic principles and strive to leave the environment better than we found it. As BioGro-certified producers, the products developed from our barley can carry the BioGro logo. This helps our customers know that the product they buy is genuine and has been grown under organic principles. Additionally, our products come from a system in New Zealand where there is no genetic modification allowed. To know more about Santé, and its product offerings, and other upcoming events, visit the official Facebook page at www.facebook.com/pg/santeofficial.ph or their website atwww.santebarley.com/ph. SANTE BARLEY is one of the fastest growing distribution companies in the Philippines. We offer premier organic health and wellness products and services aimed at helping improve quality of life. Founded in 2007, Santé promotes, produces and distributes premier natural health and wellness products; as well as services, designed to help people live better lives. With Santé Barley as its flagship brand, Santé has dominated the local market with its certified* organic barley grass – grown and harvested in New Zealand. (More recently, Santé has become the Philippines’ first company to be certified organic by BioGro). With the proven health benefits of Santé Barley, Santé has developed a comprehensive selection of everyday barley-based products. Today, Santé has expanded its offerings to include a fitness and rehabilitation center with its Santé Fitness Lab; and an array of natural products that are true to the company's thrust in promoting a healthy lifestyle. Headquartered in the Philippines, Santé has offices worldwide such as New Zealand, Hong Kong, Singapore, UAE, Qatar, Nigeria, and Cyprus. To facilitate ease of doing business through streamlining and automation of frontline service transactions, the Department of Trade and Industry (DTI) has started to process product certifications under the Bureau of Philippine Standards (BPS) through an online portal. The Product Certification Information Management System (PCIMS) features an end-to-end online and paperless processing of Import Commodity Clearance (ICC), Philippine Standard (PS) Safety and Quality Certification Mark License. It also provides an inventory management for Security Papers and ICC Stickers. “DTI has made it easy for entrepreneurs and the business community to process certifications and avail of frontline services in the comforts of your home or anywhere. No need to be present at any DTI office,” said DTI Secretary Ramon Lopez. “However, we want to assure you that this does not end here. This will be a continuing process of reform and automation. We will continue to review and streamline processes in BPS as well as in other bureaus. The ultimate ease of doing business is enabling people to do things and all transactions online,” he added. BPS started implementing the use of PCIMS in its ICC processing in October 2018 parallel to the manual processing of ICC applications. By January 2019, PCIMS was fully implemented and BPS ceased its manual applications for ICC processing. The PCIMS has the following features: 1) online and paperless filing of applications; 2) certification fees can be paid at any DTI office; 3) first-in, first-out processing; 4) real-time tracking of application status; 4) auto email of Statement of Account, Notice of Non-conformance, Show Cause Orders; 5) Certificates may be claimed at any DTI Office; and 6) auto reminder of surveillance schedules and PS license expiration. To access the PCIMS, a registration form may be requested through email at bps.scd@dti.gov.ph. Application of product certification may be accessed through www.qualityproducts.dti.gov.ph. “Businesses will definitely benefit with this shift to online transactions. Apart from the convenience and less time spent on application, it is also cost efficient. We’ve estimated about Php 3,600 in savings per application, from Php 4,170 spent per application down to Php 557. 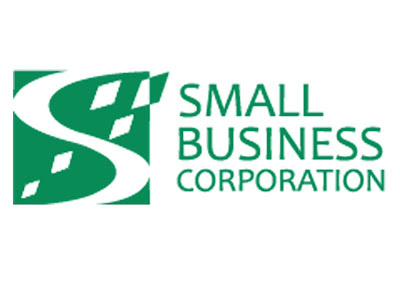 That’s big savings for businesses,” shared Sec. Lopez. Likewise, DTI is shifting its ICC sticker verification through a mobile application to assist DTI market enforcers and monitors during market enforcement activities, as well as consumers in verifying a certified product. 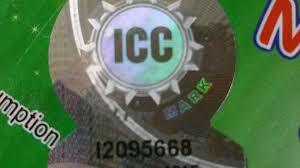 This digital method using any smartphone will detect the fake ones from the real ICC and PS stickers. The mobile application will be able to confirm legitimate ICC stickers in products sold in the market through the QR code accompanying each sticker. BPS started issuing ICC stickers with QR codes in July 2018. Currently, the ICC Verification System is on its pilot testing and can be fully used by 24 April 2019. It will be available for download at Google Play Store on the same date. Quezon City, Philippines – April 11, 2019 – Prestone, a leading innovator of cutting-edge coolants, brake fluid, and motor oils, announced today the launch of its Prestone Roadside Assistance program in time for the Holy Week from April 17 to 21. To know more about PRESTONE and its Roadside Assistance program, visit its website atwww.prestone.com.ph.